The ON-Q* T-Bloc* Needles & Catheter Sets are intended for continuous upper extremity, lower extremity and compartmental blocks. Each set includes an echogenic Tuohy needle uniquely laser-etched at the tip for improved visualization under ultrasound as well as a spring-coiled, kink-resistant catheter featuring a closed-tip, 3-lateral-port design and removable inner stylet. The ON-Q* T-Bloc* Needles & Catheter Sets are designed for continuous upper extremity, lower extremity and compartmental blocks. Each set contains an echogenic Tuohy needle uniquely laser-etched at the tip for improved visualization under ultrasound as well as graduated 360-degree markings for depth guidance. The 24 – 36 in. (610 – 914 mm) catheter with spring coil and kink-resistant body is closed-tip with 3 lateral ports for consistent infusion. The echo-friendly catheter also comes with a removable inner stylet and thread assist guide. Additionally, each ON-Q* T-Bloc* Set is equipped with multiple securement devices and dressings to help ensure optimal outcomes for the patient. 5 individually packaged sets per case. 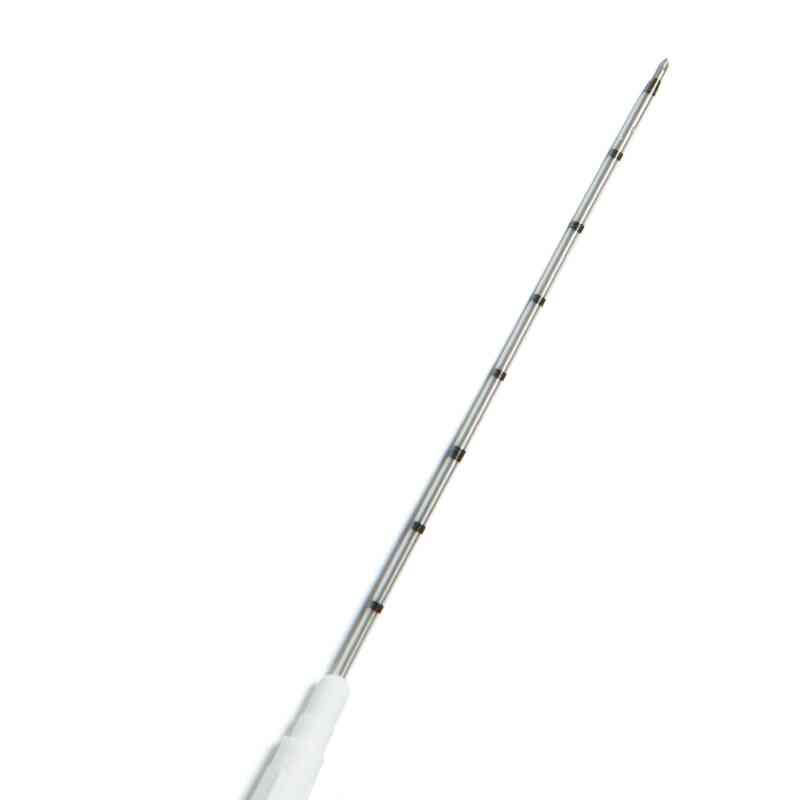 18 GA Echogenic Tuohy needles available in 2 in. (50 mm), 4 in. (100 mm), and 6 in. (150 mm) lengths. The units are single use and are EO sterilized.